The wood aluminium windows are combining two high quality materials, exploiting their best qualities. 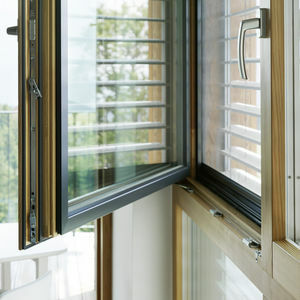 Aluminium – from the outside, fully protects the window from the exposure of aggressive atmospheric. 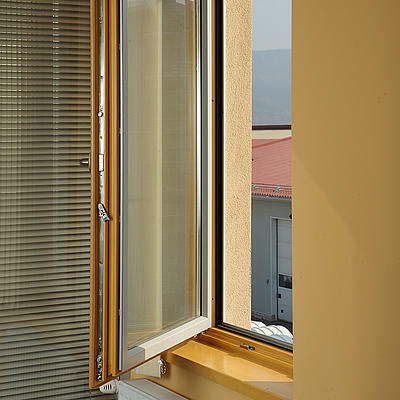 This material is painted by powder-coated, which makes the window care even simpler, and in the future you will not have to worry about the recover of your windows. Wood – gives the window a good thermal characteristics and a home comfortable feeling from the inside. 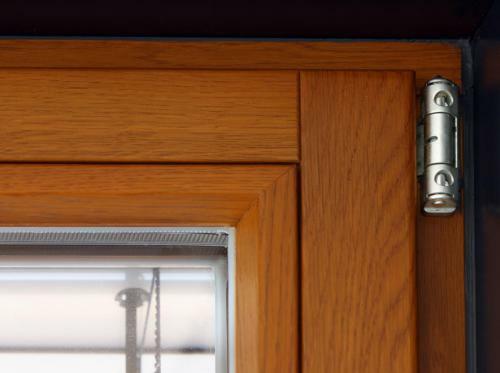 The air gap which is between the aluminium and wood profiles, ensures the removal of condensation which can form on aluminium profile and also improves the thermal characteristics of the entire window. Aluminium profiles can be painted in any RAL colour or anodised. 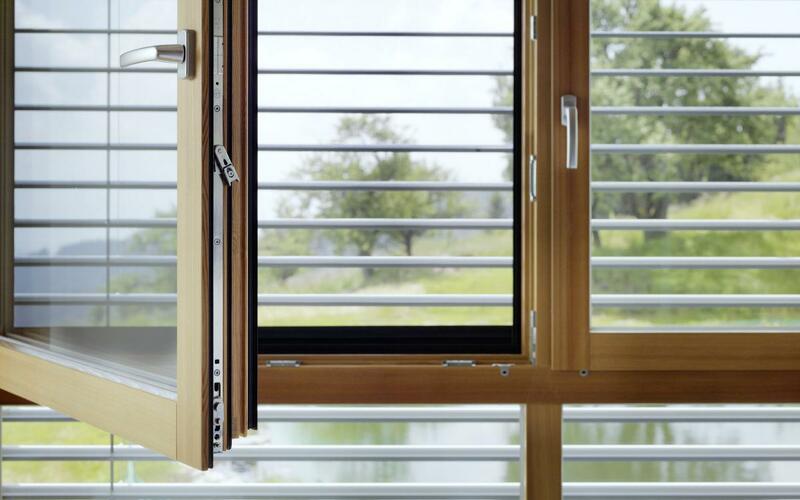 Aluminium profile systems of the German company “GUTMANN” are used for windows. The wood aluminum windows are combining two high quality materials, exploiting their best qualities. 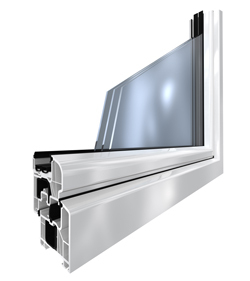 Aluminum – from the outside, fully protects the window from the exposure of aggressive atmospheric. This material is painted by powder-coated, which makes the window care even simpler, and in the future you will not have to worry about the recover of your windows. 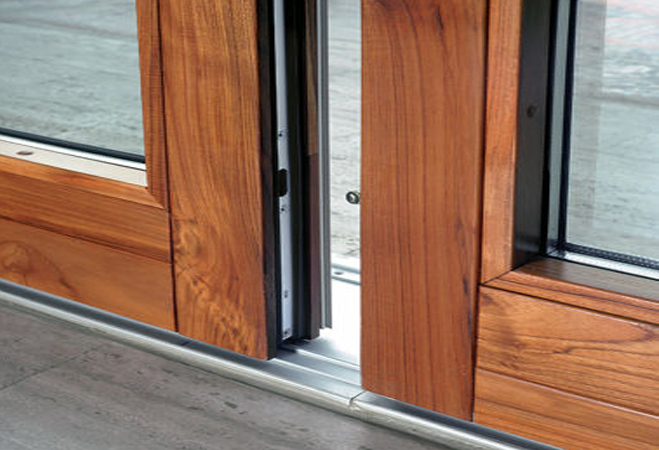 Wood – gives the window a good thermal characteristics and a home comfortable feeling from the inside. Vasario 16th’s str. 16, Jonava. Our company’s activity – windows, doors, gates, louvres and roller blinds production. We guarantee great quality and on time finished works.